I am in London at a two-day meeting of the trustees of the Anglican mission agency USPG (United Society Partners in the Gospel), and then travelling on to Lichfield tomorrow evening before taking part in a day for USPG volunteers in Birmingham Cathedral. This afternoon, at the trustees’ meeting, I led the theological reflection or Bible study. I arrived in London on an early morning flight from Dublin to Heathrow, and I am staying in the Kairos Centre, a retreat and conference centre in an urban oasis in south-west London, standing in acres of landscaped gardens close to the campuses of Roehampton University and overlooking Richmond Park. The Kairos Centre is at 12 Roehampton Court, later known as Maryfield Convent, which was built in 1913/1914 to a Georgian design. The architect was Frank Chesterton, who also designed part of Hampton Court and Ibstock School. The house was bought at auction with 11 acres of land by the Poor Servants of The Mother of God on 18 July 1927. 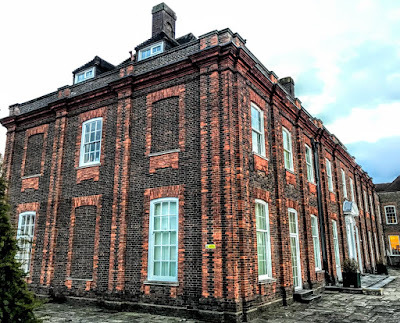 The order was seeking new property as a novitiate because Saint Mary’s Convent in the High Street housed an orphanage and also the general leadership of the order, as well as postulants, novices and tertians, preparing to take final vows. The main work in the house involved training of the novices. In September 1928, 15 postulants arrived and they became the first postulants to spend Christmas in Maryfield. Over the next 10 years, from 1928 to 1938, additions were made to the original building, including a kitchen, laundry, dining room and the large and beautiful chapel. But once World War II broke out on 3 September 1939, all changed: there were identity cards and food rationing all over England, and the first bomb was dropped on London on 15 August 1940. It was often a nightly occurrence for air raid warnings to start at 9 or 10 p.m. and people had to head for air raid shelters and remain until the ‘all clear’ sounded, indicating that it was safe to return. In 1941, Digby Stuart College was hit, and a Jesuit novice was killed in an air raid on 10 October 1941. Maryfield was now unsafe and the novitiate was moved to Corston near Bath. On 18 February 1944, a basket of bombs landed on the roof of the original house in Maryfield, and within a few hours it was completely engulfed in flames. When World War II ended in 1945, life gradually returned to normal and the novices returned to Maryfield. The house was used by the order’s Generalate, Trustees and Novitiate in 1945-1974. From 1974 to 1995, The Novitiate was relocated to the top floor of the convent and the remainder of the house became a residential home for women with learning disabilities. Part of the New Wing was refurbished in 1995 and became the present Retreat and Conference Centre which is known as the Kairos Centre. Meanwhile, the Generalate continues to have offices in the main building. It is always interesting to work with the weekday lectionary of another church. So, while the Church of Ireland was using a very different New Testament reading this morning (James 3: 13 to 4: 12), Common Worship in the Church of England gives us this reading from the Book of Revelation (Revelation 11: 15-19). This is much more appropriate a reading as we prepare for next Sunday, which celebrates Christ the King, or (in the calendar of the Church of Ireland) the Kingship of Christ. Verses 16-17 in the NRSV is a clear example of how the translators of the NRSV always go for the lowest common denominator … or denomination, if you excuse the pun. For we could read these verses as saying in the original Greek the 24 elders are 24 priests, they are at their altars rather than on their thrones, and they are not merely giving polite thanks but celebrating the Eucharist. That is the plain and simple reading for many Greeks to this day, and in Greek liturgy the Lamb on the Throne is the Eucharistic bread on the Altar. So, the English translations deprive us of an interpretation that is sacramental, and that would appeal to what I like to imagine is the core, traditional, support base of USPG in the dioceses and the parishes. But perhaps, I digress, if only a little. 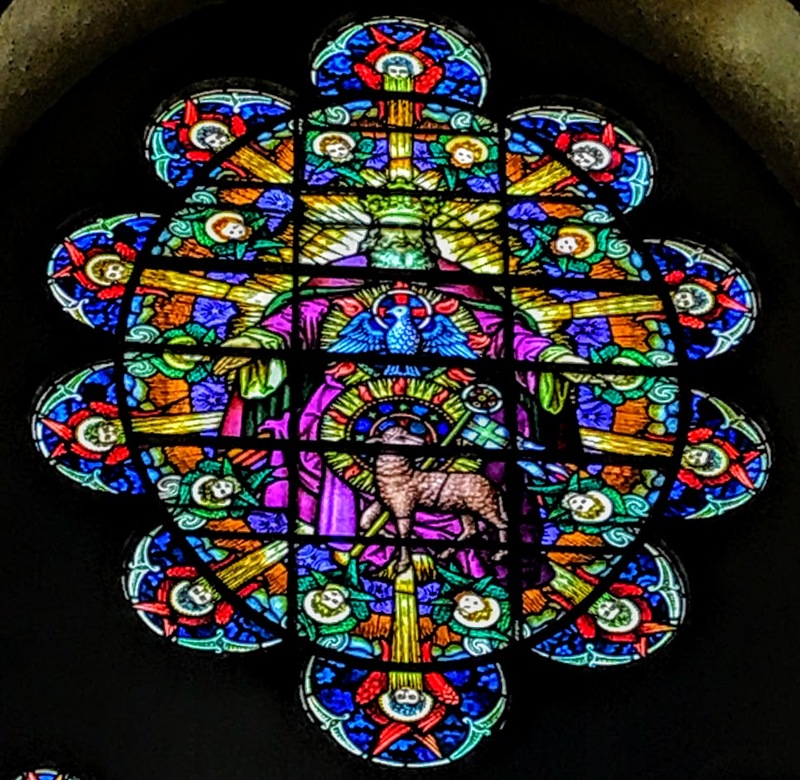 Last Sunday [18 November 2018], we heard the Marcan Apocalypse (Mark 13: 18), and as we begin the Year C cycle of readings on the First Sunday of Advent [2 December 2018], we have more apocalyptic visions from Saint Luke (Luke 21: 25-36), with the Son of Man coming in a cloud, with portents in the skies and seas, the shaking of the heavens, and with people fainting from fear and with a foreboding of what is coming upon the world. It is very easy over these three weeks to relate these forebodings and apocalyptic fears with the state of the world today. How many of us, listening to this reading today, wonder about the nations raging and the coming wrath? Those images of the skies and the seas become even more ominous as we look at the consequences – perhaps now the almost irreversible consequences – of climate change and plastic pollution in the seas. To pray (Luke 21: 36). But, most of all, to be prepared for the Kingdom of God. In today’s reading again, the nations rage. But it is also a reminder that the Church is the means or the agency through which the world is being invited into the Kingdom of God. How, then, do we encourage or enable the Church to be a sign of the Kingdom of God? In some ways, I like to think of USPG in its best expressions of mission, as a sacrament or sign of the world being invited through the Church into the Kingdom of God. What are the signs of that sacrament? How do we express, through the work of USPG, or put forward values, incarnationally, that are signs not just of mission or of the Church but of what we believe and trust the Kingdom of God to be like? I invite discussion on this before concluding with the Collect and the Lord’s Prayer. καὶ βασιλεύσει εἰς τοὺς αἰῶνας τῶν αἰώνων. καὶ διαφθεῖραι τοὺς διαφθείροντας τὴν γῆν. 19 καὶ ἠνοίγη ὁ ναὸς τοῦ θεοῦ ὁ ἐν τῷ οὐρανῷ, καὶ ὤφθη ἡ κιβωτὸς τῆς διαθήκης αὐτοῦ ἐν τῷ ναῷ αὐτοῦ: καὶ ἐγένοντο ἀστραπαὶ καὶ φωναὶ καὶ βρονταὶ καὶ σεισμὸς καὶ χάλαζα μεγάλη. (Revd Canon Professor) Patrick Comerford is priest-in-charge of the Rathkeale Group of Parishes in the Diocese of Limerick. 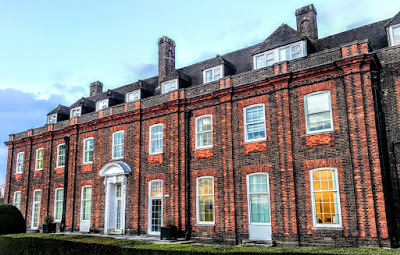 This theological reflection was prepared for a meeting of the trustees of the Anglican mission agency USPG (United Society Partners in the Gospel) at the Kairos Centre in Roehampton, London, on 21 November 2018. During the weekend, I was at the Lime Tree Theatre in Limerick for a performance of Noel Coward’s Blithe Spirit by the College Players. This is a state-of-the-art 510 seat theatre, on the campus of Mary Immaculate College, close to Limerick city centre. It opened six years ago, in October 2012, and it has become the venue for a wide range of performances, including theatre, music, comedy, traditional arts, schools’ performances and conferences. The Lime Tree Theatre is on the rapidly expanding campus of Mary Immaculate College, which offers a wide range of programmes in Education and the Liberal Arts, with over 3,000 students. The Theatre Director is Louise Donlon, who has extensive experience in the Irish arts sector, with Island Theatre Company (Limerick), Druid Theatre Company (Galway) and the Dunamaise Arts Centre (Portlaoise). She is a former member of the Arts Council. Well do I write under the greenwood.